Food for Diplomacy USA | The Hollings Center for International Dialogue | The Hollings Center for International Dialogue is a non-profit, non-governmental organization dedicated to fostering dialogue between the United States and countries with predominantly Muslim populations in the Middle East, North Africa, South Asia, Eurasia and Europe. 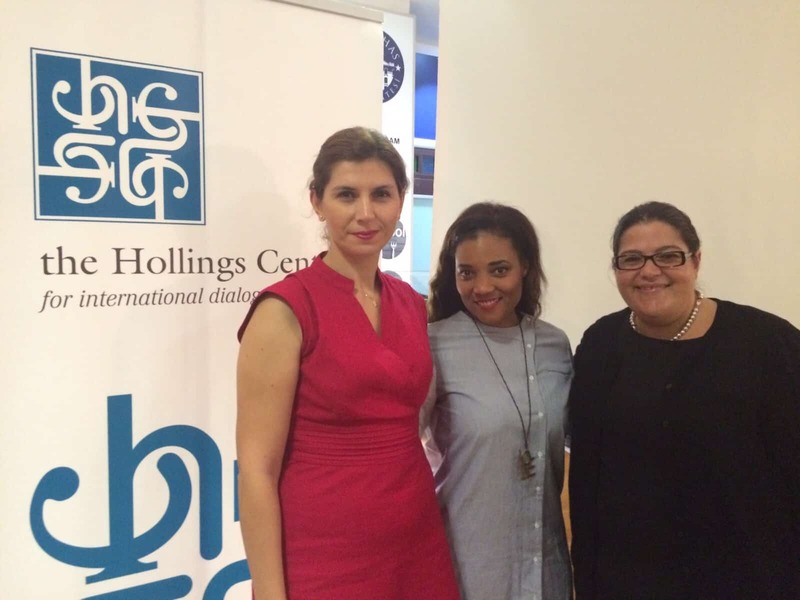 On September, 29, 2015, the Hollings Center partnered with the Lifelong Learning Center at Kadir Has University to hold an event entitled Food for Diplomacy USA. This event followed-up on the Center’s next generation dialogue, Decoding Perceptions in U.S.-Turkey Relations held in fall of 2013. 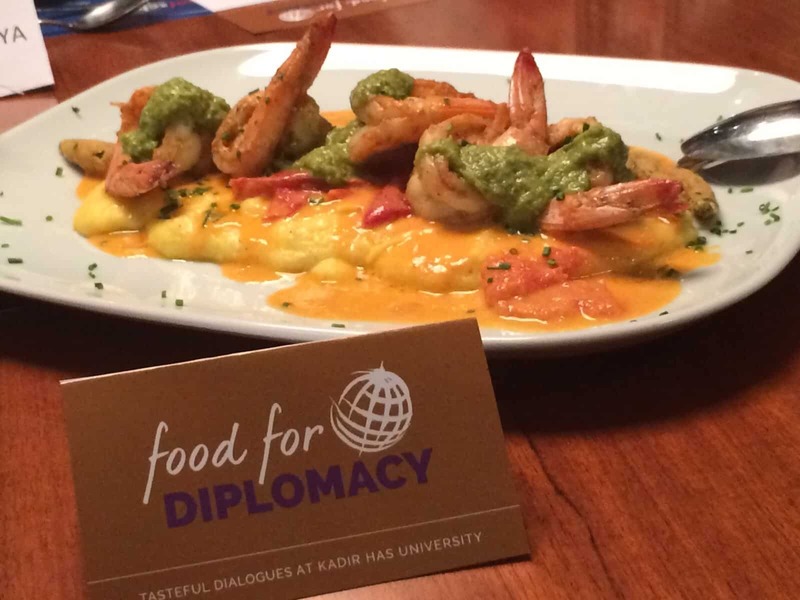 The event was held as part of the Lifelong Learning Center’s Food for Diplomacy series at Kadir Has University’s culinary school restaurant located in the Cibali district of Istanbul. 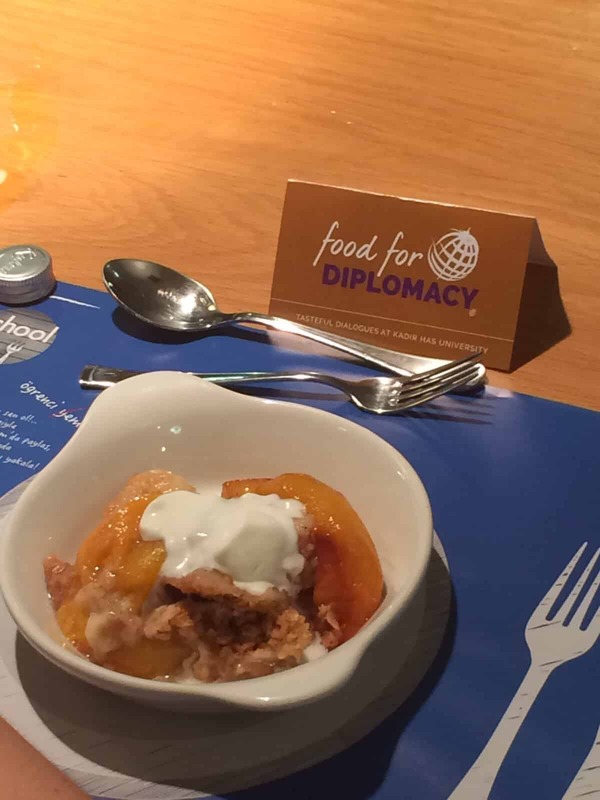 The Food for Diplomacy program aims to facilitate dialogue between non-state actors such as businesspeople, academics, journalists, and civil society representatives through a series of dinners. The project utilizes the common heritage of culinary culture as a facilitator to enhance political, social, and cultural dialogue between Turkey and its near and far neighbors. A guest chef from a particular country is invited to cook a meal and give a brief presentation about the meal, introducing students from the culinary school to new dishes and working with these students to then prepare the meal for invitees. Each dinner also features a keynote speaker who discusses relations between Turkey and the featured country. The event has so far hosted chefs and guest speakers from Armenia, Israel, Greece, Ukraine, Syria, Mexico and Hungary. 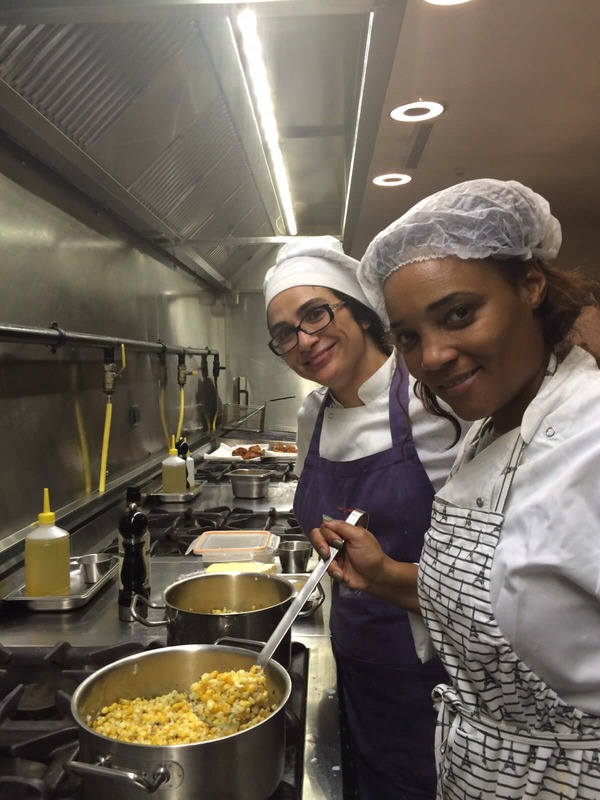 The Center hosted the ninth edition of this project with guest chef Amaris Jones from Miami, Florida, who cooked dishes representing soul food. Born in Philadelphia and the owner of a popular Miami restaurant, Ms. Jones’s career has worked to perfect the soul food concept, focusing on dishes such as fried chicken, macaroni and cheese, and sweet potato pie. 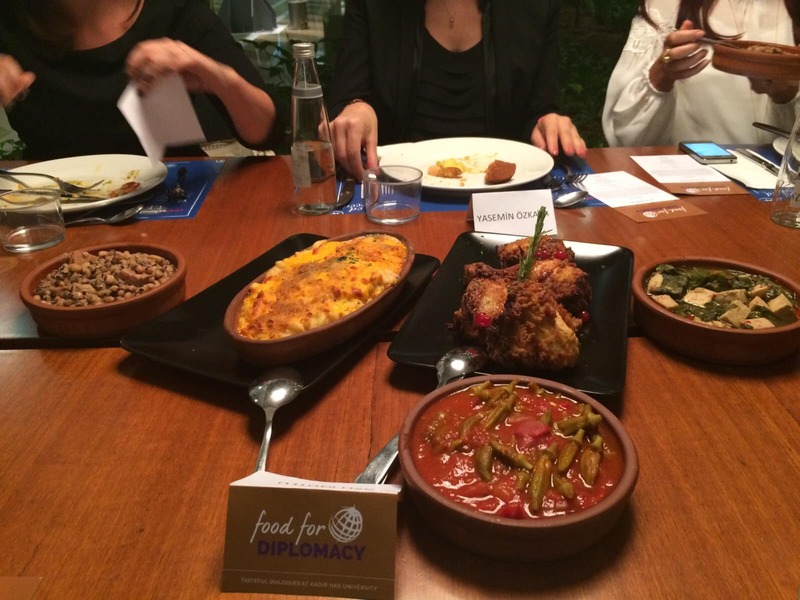 This cuisine is closely tied to both African-American and Southern culture and relatively unknown in Turkey. Ms. Jones met with the culinary school students the day before the event to teach them about the history of soul food and the dishes that represent soul food. Many students confirmed that this was their first introduction to American soul food. After the lesson, the students and Ms. Jones began preparations for the next evening’s meal, which featured dishes like shrimp and grits and peach cobbler with oat crumble. The dinner included 50 participants and featured keynote speaker Professor Çağrı Erhan, Rector of Kemerburgaz University, who spoke on the history of U.S.–Turkey relations.